File Scavenger is a simple, and easy to use file recovery for Windows. 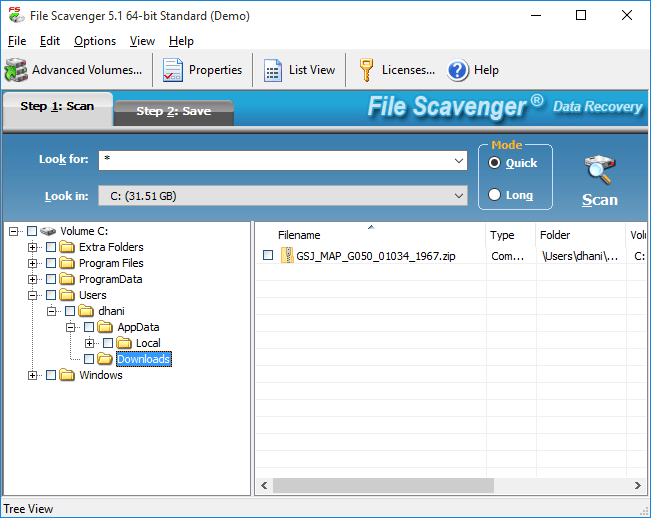 The new version of File Scavenger 5.1 is now available for download. 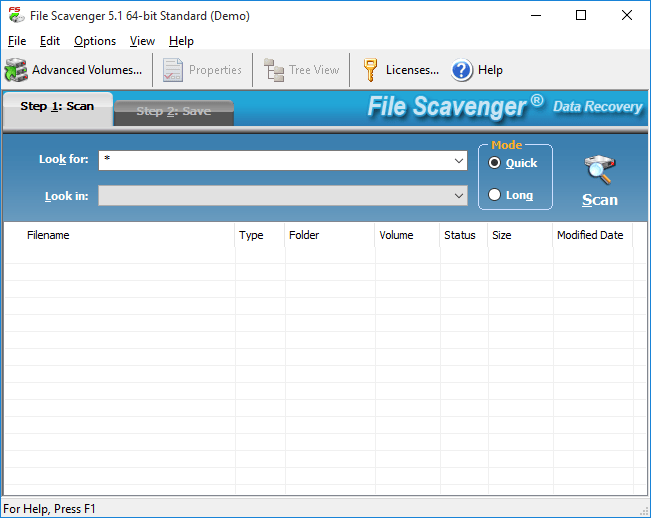 We have downloaded this new File Scavenger 5.1 and install it on Windows 10 64 bit edition. 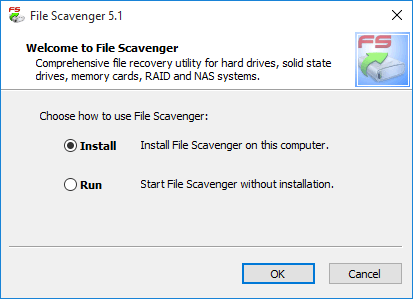 Actually, File Scavenger allows us to run this software without having to install first. When the executable file was double clicked, the confirmation window appear asking for how to run this software. 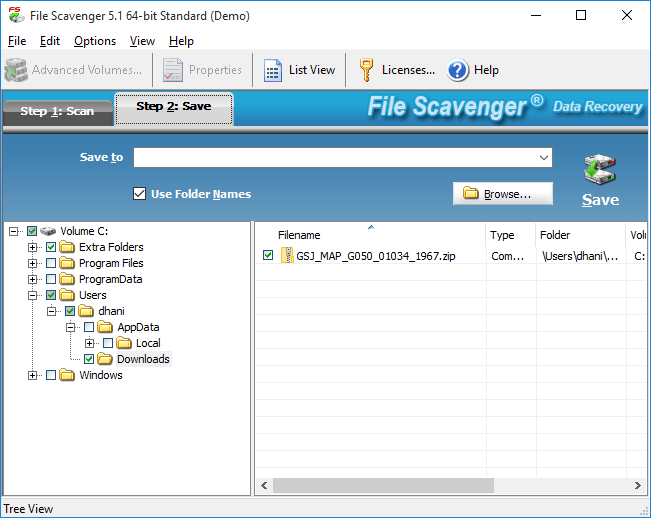 The File Scavenger 5.1 main window provide a simpler user interface. Simply type the keyword for the file to search. Put the asterisk (*) to search all files. There are two scan mode, Quick and Full. The Full scan mode take longer but produce better search result. After the scan complete, File Scavenger will display the files found during the scan process. You can switch to Tree View as above using Tree View button on the taskbar. To save the files, select the files or folders and then click Save button. Then, specify the output folder to restore the files. We tested File Scavenger 5.1 demo version so we cannot test the recovery process for files greater than 1 MB. With all this simplicity and features, we can recommend this software for you. You may purchase File Scavenger 5.1 Full Version and you will get the license code. Enter the license code to the license menu under help. Please note that we do not provide File Scavenger 5.1 full version, keygen, license code and any other illegal materials. You may download the File Scavenger 5.1 from this link.